Dispenser This dispenser floats on the surface of your Swimming pool or HotSpring Hot Tub water. The use of this dispenser results in far more consistent levels of Chlorine than a standard granular dosing. Dispenser This dispenser floats on the surface of your Swimming pool or HotSpring Hot Tub water. 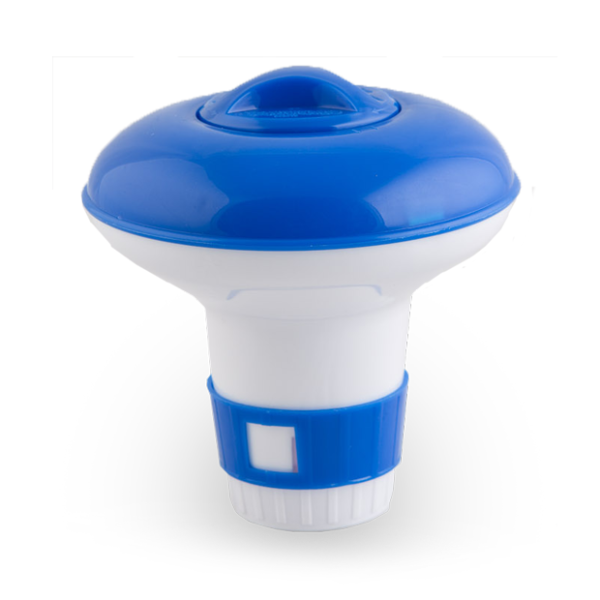 The use of this dispenser results in far more consistent levels of Chlorine than a standard granular dosing. Removable Cap to Tablet storage area. Set and Forget! Adjustable vent. Measures Approximately 135mm high & 125mm Diameter. Made from strong durable plastic. For 1-1/2” Tablets (unsuitable for 200g Tablets) PLEASE NOTE: REMOVE THE DISPENSER WHEN THE POOL OR SPA IS IN USE. Chlorine Tablets 1kg Tablets ! 50 Tablets Use these Ultimate chlorine tablets to control bacteria in your swimming pool or hot tub. 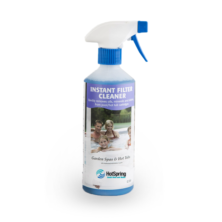 These high performance chlorine tablets can be placed in your skimmer or Spabitsuk Floating Dispenser – Available in our shop Never place directly into your spa or pool as severe Bleaching/Staining may occur. Use a Dispenser or place in filter. 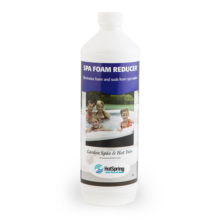 Your Pool/Spa will require approximately 3/4 tablets in a dispenser, they will slowly erode over a period of 3-5 days. These come in a child-safe locked container for safety. 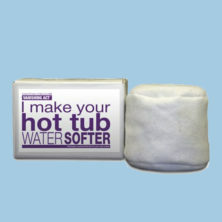 Happy Hot Tubs, over 30 years experience in the industry! FAQ’s regarding this product…. How many tablets do i put in a dispenser ? – The dispenser has a full capacity of about 7 small 20g tablets however we recommend keeping the dispenser topped up with with 3 or 4 of these tablets. Are these better than granules ? 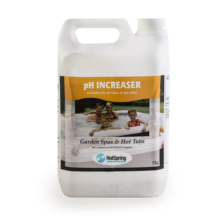 – It is an easier way to keep a pool/spa chlorinated however it is less accurate than manually putting in granules when required.